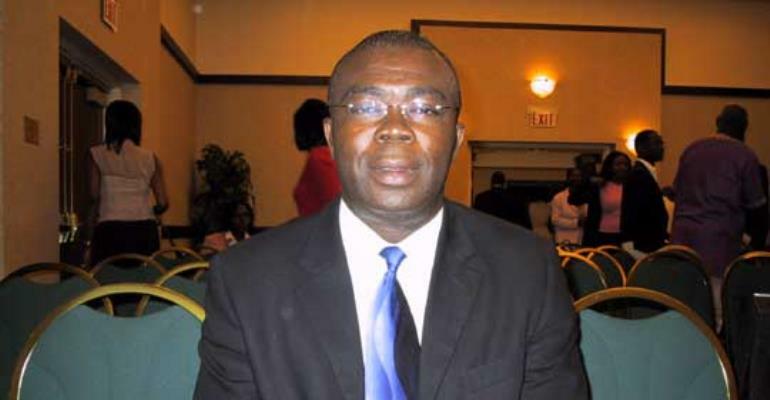 THE DEPUTY MINISTER Of Information, Mr. Stephen Asamaoh -Boateng has said the government has put in a lot to give greater constitutional recognition to Ghanaians in the Diaspora so they could equally exercise basic citizenship rights of taking part in the process of electing the government of their country. He added that some of their diplomatic missions abroad had initiated various innovative programmes to assist and facilitate the mobilization of resources from Ghanaians living in other countries to support development programmes in Ghana. Mr. Boateng was speaking in Accra yesterday at the opening ceremony of the national workshop on promoting diaspora linkages in Ghana. He said the NPP government had mobilized strategies in Ghana Poverty Reduction Strategy (GPRS) which identified the role of non resident Ghanaians and consequently set up an institutional framework to facilitate their contribution to national development. "My government has accentuated a new regime that recognizes the importance of civil liberties," he hinted. He disclosed that a new regime was also being developed that would recognize the importance of civil liberties. The minister revealed in an interview to The Chronicle that the macro economic stability was greatly enhancing, with a real GDP growth of 5.2 % and a decline in inflation of about 10.5 % as against over the peak of 41.7 %. According to him, the overall budget deficit of 3.4 % of GDP and their net domestic financing has registered a repayment of 0.4 % of GDP against a target of zero. He noted that the High Commission in Sierra Leone had initiated the scheme called 'dollar a month for Ghana' which had since mobilized sustainable resources to support various development projects in Ghana and in the United Kingdom, the High Commission facilitated 'five pounds no balance scheme' which was to raise funds to procure vital equipment for the Ghana police service. Mr. Boateng stated that the chieftaincy institution, prominently led by the Asantehene ,Otumfua Osei Tutu II and the Okyehene, Osagyefo Amoatia Ofori Panin and other illustrious chiefs have been used as a national cultural instrument to link up with citizens abroad.